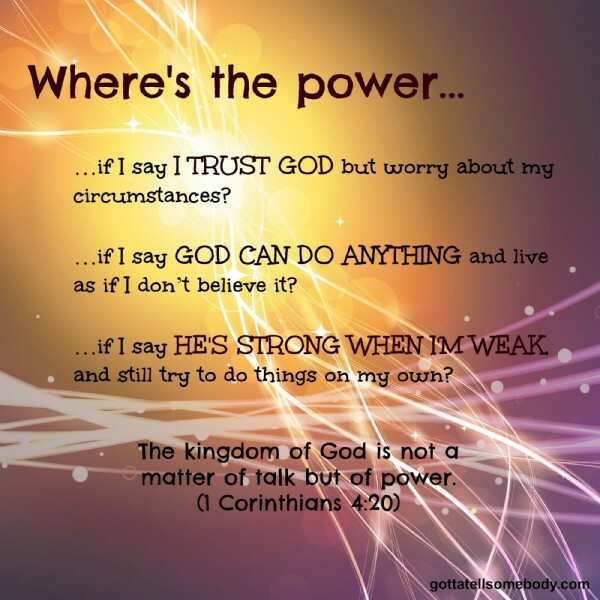 The kingdom of God is not a matter of talk but of power (1 Corinthians 4:20). What would happen if you aligned your thinking with the size of your God? How can you celebrate your uniqueness today? What impossible thing would you like God to birth in you? © 2007 - 2019 Gotta Tell Somebody, Inc. - All Rights Reserved.